Gaza is recovering from 50 days of conflict between Israel and the ruling Palestine authority. What is the situation there? It’s terrible. No one can believe what is going on here. How can they? Most people do not even know what the Gaza Strip is like. This 40-km-long, 9-km-wide region has a population of 1.8 million. This is one of the most densely populated and impoverished areas in the world. Most people here are refugees, displaced from their homeland in 1948 (after Israel was formed). Half of the population is under 15 and about 20 per cent of women of reproductive age. But their life is under siege. The region has faced three wars in the past six years. Over 2,000 civilians were killed and another 11,000 wounded in the recent conflict in July and August. Infrastructures like hospitals were targeted and damaged during the conflict. It has created a rubble of over 2 million tonnes. The projection is that rebuilding Gaza will take at least 20 years. Children disabled by the war will remain disabled forever, making Gaza one of the most densely populated places with disabled people. The Gazans and Palestinians want to live like people in other countries. But diseases and infertility have become a way of life here. How does a war-like situation affect public health? War is a torture on humanity. It kills people, damages infrastructure, trees, stones and everything that is crucial for ensuring food, clean water, health and employment. Nothing is left for people after the war is over. Consider this. The winter is approaching but many Palestinians are homeless. How can we expect a homeless person to be healthy? Water here is no more safe to drink and will soon spread infectious diseases. Noncommunicable diseases are also on the rise. Many people in Gaza now suffer from stress and hypertension. This is leading to several other chronic diseases. Stress and infectious diseases are inducing premature labour among women. Children traumatised by the conflicts are suffering from nightmares. 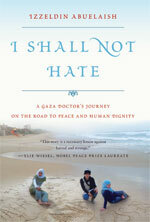 Violence and hatred have become predominant public health issues in Gaza. What kind of challenges do health- care providers face in Gaza? Are they different from those in other war-torn areas like Syria and Afghanistan? In Gaza, the scale of carnage is unprecedented. This poses a challenge for healthcare providers. The situation is more challenging because they have to handle an emergency situation without basic facilities like electricity, which is a must for conducting surgeries on the wounded, drugs for medication and advance medical care and equipment. Even basic requirements like blood and anaesthsia are in short-supply. And then comes the crucial aspect: one needs safety while evacuating wounded civilians. But no one is safe here. Are international agencies like the UN, WHO, Medecins Sans Frontieres and Red Cross able to bring about changes on the ground? Many international communities and organisations are working in Gaza. I am sure they are doing their part. Yet, the situation remains bad. This is because one needs to be pro-active in providing care even after the war. Most organisations extend their help during the emergency situation but leave thereafter. This is like partial healing of a wound. It is important for these organisations to rehabilitate the affected people. But rehabilitation takes years. How challenging is it to perform serious surgeries on conflict victims? Is the existing healthcare system equipped enough to tackle the challenges? It is difficult to manage such patients in Gaza where means and resources are limited. This is the reason many countries are trying to help wounded civilians by evacuating them and shifting them to Egypt or Turkey or the West Bank or other parts of the world. But those who are severely injured cannot be transported, and we do not have enough facilities to treat them. Gaza has one major hospital, which has only 700 beds. The remaining are secondary healthcare centres that cannot provide tertiary medical care. Besides, no hospital can handle such huge number of patients who arrive in groups of 15, 20 or 30. In each group, there would be at least two to three severely injured people. One may have a crushed arm while the other may have a crushed leg. They need a team of doctors who can perform lengthy, meticulous surgeries. It takes 10-15 hours to re-fix an arm. In the absence of facilities and due to lack of time, the easiest option before doctors is amputation. What needs to be done to improve the situation? To begin with, the government should provide safe drinking water and electricity to people. It should open the border in accordance with the ceasefire deal. It also needs to rebuild houses and schools. But providing safety to people should be the top priority of the government. The government also needs to rebuild the crumbled public healthcare facilities and arrange for reconstructive surgeries of people who have sustained grave injuries in the conflict. It should also initiate rehabilitation programmes for those suffering from mental health problems. How do you find India's response in helping conflict-torn countries manage their health crisis situation? India is a great country. People in the country have faced many calamities and disasters, and they have the experience to deal with such emergency situation. We can learn from each other’s experiences. However, health crisis cannot be managed only by health professionals. It depends on several other stakeholders in conflicting parties. There is a need for international community to come together and think how this crisis can be managed. However, we do not want to manage health crisis. We want to prevent it. If something disastrous is going to happen, preventing it is the best way to tackle it, not managing it. Now everyone on both sides have to adopt this philosophy. This is the heart of change and really the momentum that needs to spread across the Middle East. The catalyst is understanding, compassion, and empathy for all. I sometimes become quite bewildered by the infantile nature of the conflict and our Global focus on such matters is ridiculous. We have much bigger Ã”Ã‡Â£fish-to-fireÃ”Ã‡Ã˜ these next 25 to 50 years and it all stems from humanities impact on environmental degradation and the loss of â”¬Â¢ of all our known species of flora and fauna in the world. In our life time alone Ã”Ã‡Â£35 Ã”Ã‡Ã´ 45 yearsÃ”Ã‡Ã˜ we have seen the loss of â”¬Â¢ of all the species on the planet and over â”¬Â¢ of all known aquatic wildlife Ã”Ã‡Â£includes both ocean and fresh water speciesÃ”Ã‡Ã˜. I believe this is the alarm for all of mankind to take arms to ameliorate the path at which we are accelerating on. All of life on this planet is a wonderful gift and it is truly amazing at which speed we adapt and co-exist with other species, but it is now apparent that our infantile nature and disagreements; a thirst for greed and material wealth has lead to the demise of our planet. There is a universal and cosmic consciousness that pervades every single living thing on this planet and we need to awaken this understanding. This requires great effort and cerebral focus to awaken such empathetic thought, but once done it inspires and spreads like a wildfire across known and unknown conduits of cosmic consciousness and understanding.